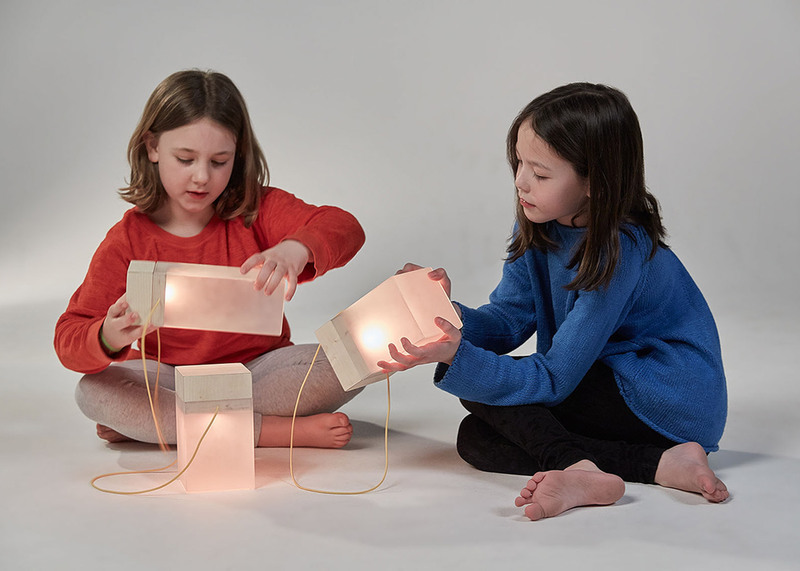 Milan 2016: students from Germany's Burg Giebichenstein University of Art and Design have designed a range of children's furniture and lighting that includes house-shaped beds and stackable lanterns (+ slideshow). 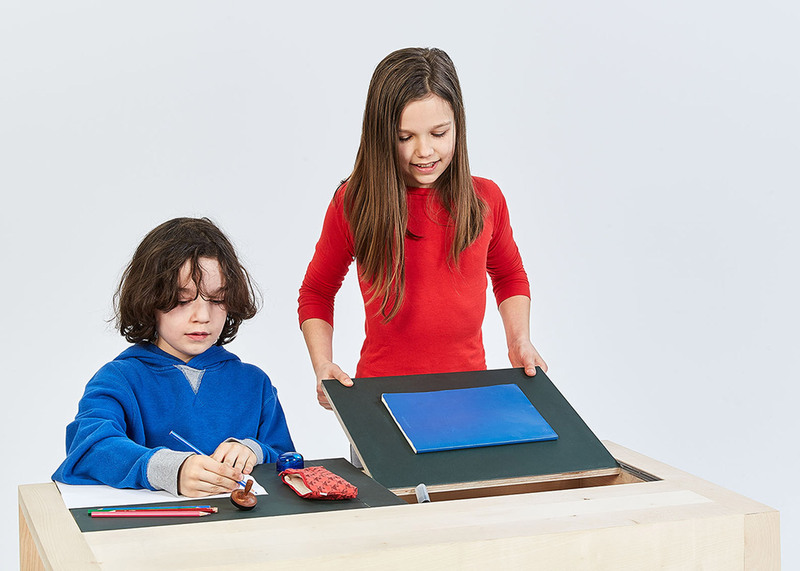 Part of the trend for children's products in Milan this year, the four-piece collection is based on typical nursery furniture, but with pieces transformed into the "material of imagination" and created to engage children in play. The Woken Up bed has been designed as a "theatre", and is made from a wooden framework with a pitched roof covered in fabric. 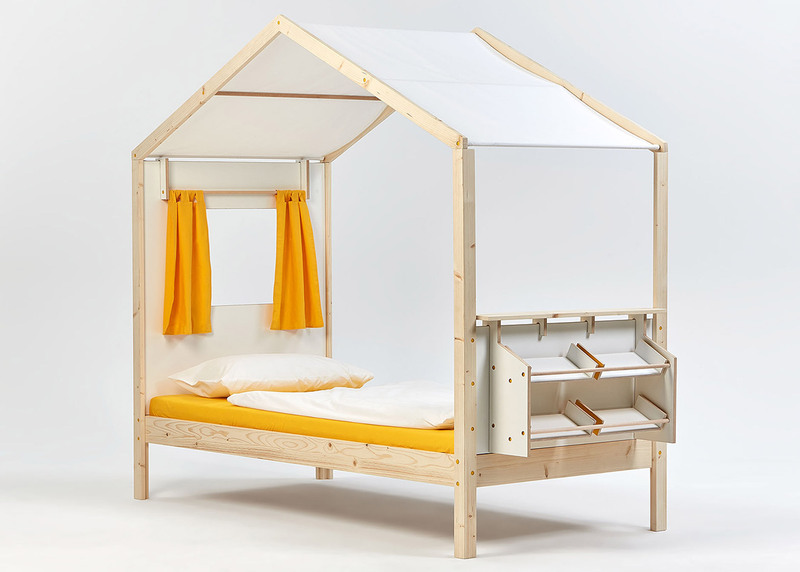 A glassless window with bright orange curtains is placed in the headboard, and a set of wooden shelves for storing toys or books hooks over the end of the bed. 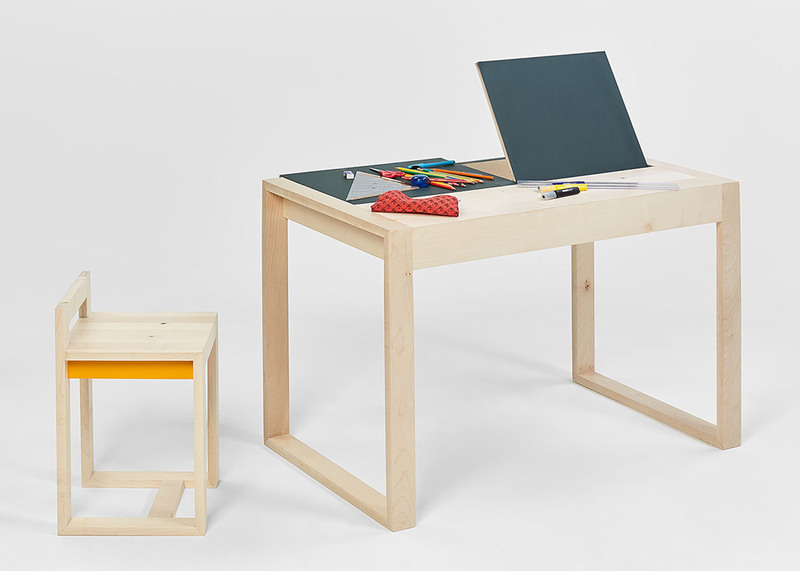 The Kipp and Clear table features a hinged desk that can be lifted up to reveal storage space, or double as a blackboard. An accompanying wooden stool features a low back, and bright orange details. Children can also play with the Make Way! bookshelf, which features wooden shelves with extra removable sections that can be used as building blocks, or a ramp for toy cars. The On/Off lantern houses its light source under a wooden lid, and comes in different sizes and colours that can be hung up or stacked on top of one another. The collection was shown during Milan design week, from 12 to 17 April 2016, where one of the standout trends was furniture for children. Swiss studio Big Game debuted a miniature plastic chair that could be adjusted as children grew up, while Kartell unveiled a rocking horse designed by Nendo and a swing by Philippe Starck as part of a collection aimed at a younger audience. Also in Milan, Gebrüder Thonet presented a rocking horse design on bent-wood furniture from its archive.